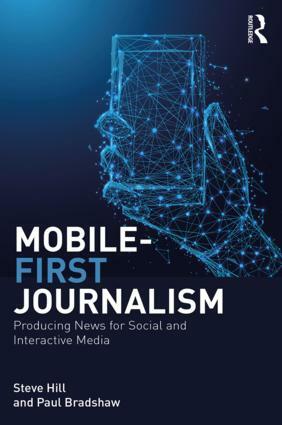 My short ebook Data Journalism Heist is now available on Amazon for Kindle (US link here – also available on other countries’ Amazon sites). The book is an introduction to data journalism and two simple techniques in particular: finding story leads using pivot tables and advanced filters. The book also covers useful sources of data, how to follow leads up, and how to tell the resulting story. You can also buy it from Leanpub, where it’s been live for a couple months now and is available in PDF, mobi and ePub formats. Comments welcome as always. 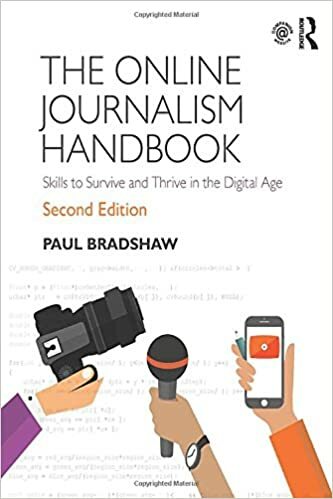 This entry was posted in online journalism and tagged amazon, book, data journalism, Data Journalism Heist, kindle on November 27, 2013 by Paul Bradshaw. The latest in our series of Hyperlocal Voices sees Damian Radcliffe talk to David Williams, co-founder of MyTown Media Ltd, which runs four hyperlocal websites in Wales. When were the sites launched? After about six months of fact finding and market research, the first site – MyWelshpool – was launched on Friday 13th, August 2010. Luckily it has been far from a horror story since! MyNewtown followed in December that year and then MyBrecon and MyRadnor joined the portfolio in 2012. What made you decide to set up the sites? I had moved back to the UK after many years in the Middle East and it didn’t take long to realise that the impact of the traditional local media was diminishing, not just in Mid Wales but across the UK. This entry was posted in hyperlocal, online journalism and tagged Damian Radcliffe, David Williams, Destination Local, Hyperlocal Voices, My Newtown, My Welshpool, MyTown Media, nesta, Powys, Wales, Welsh Government on November 26, 2013 by Damian Radcliffe. Newspapers on Twitter: who has the most click-throughs – and why? Newspaper Twitter accounts with the highest click-through rates tend to follow more people, customise tweets for Twitter and engage in more conversation, according to an analysis by Patrick Scott in the first of a series of three posts. This entry was posted in online journalism, twitter and tagged Archant, Birmingham Post, clickthrough, Eastern Daily Press, engagement, evening standard, Followers Per Followed, Johnston Press, Lancashire Evening Post, Lancashire Telegraph, Manchester Evening News, newsquest, Northampton Chronicle, Norwich Evening News, Oxford Times, Patrick Scott, research, retweets, The Scotsman, Trinity Mirror on November 25, 2013 by Patrick E Scott. Every day this week I have been publishing an example of a legal dilemma that might face a journalism student (why? Read my previous post on students being publishers, and the responsibilities that come with that). I can’t promise a ‘right answer’ at the end of the week – but I hope you can comment on what a student publisher might do – and why. This isn’t a particularly nice story. Your source tells you that last night she saw a man being beaten so badly that he died afterwards. You ask questions about where the attack took place, the victim, the attackers, and what was said and done during the attack. You decide to write a story from what she has told you. What are the legal issues here – and what tests need to be met for them to be an issue? What defence(s) could you mount? How likely is it that legal action would result? Would you publish – and why? This entry was posted in law and tagged Contempt of court on November 22, 2013 by Paul Bradshaw. You run a Facebook page for a university society group, publishing news about what the group is doing, links to relevant events, and how-tos. One week, while you are on holiday, a series of hateful comments appear on the site, all from different accounts. One is a joke by Member A about Jews which many commenters think is sick. And for good measure Member D says “Polacks” should be beaten up too – although you know the commenter personally and think the term was used in a tongue-in-cheek fashion (given the timestamp you suspect she was under the influence). A few days later Member E messages you directly to tell you about those messages, and ask that two commenters be kicked off the page. To complicate things further, it isn’t the first time that Member E has asked you to kick people off the page – they have been arguing both privately and publicly on the page that a number of openly gay people are trying to ‘hijack’ the group and openly gay members should not be allowed to join it. What defence could you mount? This entry was posted in online journalism and tagged facebook, hate speech, racism on November 21, 2013 by Paul Bradshaw. Every day this week I am publishing an example of a legal dilemma that a journalism student might face (why? Read my previous post on students being publishers, and the responsibilities that come with that). I can’t promise a ‘right answer’ at the end of the week – but I hope you can comment on what a student publisher might do – and why. Here’s another true story. You are attending magistrate’s court in your search for stories. One case related to a breach of bail conditions. As the defendant hadn’t reported to a police station as required, seven police officers went to his house to find out why. The magistrate questioned why it had taken so many police. The defendant was put on an electronic tag instead. You decide to write a story along the lines of ‘magistrate criticises police’ against the background of the case. This entry was posted in law and tagged bail, Contempt of court, magistrate's court on November 20, 2013 by Paul Bradshaw. This is a true story. A fire drill has just ended, and as you’re walking back to the classroom you think you see a famous rugby player in the crowd. Your friend says “Nah, it’s not him”. Like a good journalist, you don’t accept that, so you go to the university reception to ask if Famous Rugby Player is indeed around today. Yes, they say, he is. Apparently he’s promoting a healthy eating scheme – and also looking at a new piece of kit designed by the health faculty. You get the details of what he’s doing there, and where he will be when, make a quick call to your editor, and then chase off to find him. Once there, you interview him, a marketing rep from the company paying him, and a representative from the health faculty. But your phone runs out of battery – so you have no photos. As you get back to the newsroom, Famous Rugby Star’s visit is already all over Twitter. You want to get this story up on your blog before the local newspaper – but a celebrity story is nothing without images. Thankfully, a few of those tweeting about the visit have taken snaps. Also, one has uploaded some brief video footage to YouTube, and embedding is enabled. Meanwhile, you have emailed the marketing rep and the health faculty rep for images – both have been promised, but you have no idea how long it will take. What are the legal issues here – and what tests need to be met for them to be an issue (or not)? This entry was posted in law and tagged case study, celebrity, copyright, photographs, twitter, video on November 19, 2013 by Paul Bradshaw.